Utopia or Dystopia? Shangri-La or purgatory? Paradise or perdition? What future truly awaits mankind on the other side of widespread human enhancement? 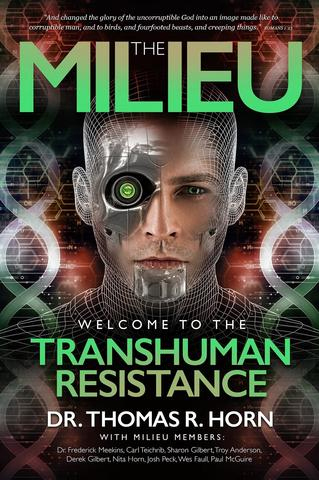 With breakthrough advances in transhumanistic science and technology at an all-time high, it appears that people of all ages, backgrounds, and world cultures are lining up to embrace the alteration and augmentation of the human race. Remaining as the mere Homo sapiens that God designed is no longer satisfactory as we race toward the human-animal chimeric and human-machine hybrid era, a point of no return. For many, these transhuman concepts paint bright and glorious tomorrows filled with higher efficiency, ease, and convenience for our world. For others, the notion of irreversibly changing what it is to be human and the potential spiritual and biological repercussions that holds for the earth s dominant species is, understandably, terrifying.